With the list of classic television shows not already claimed for big-screen updates or modernized TV remakes rapidly dwindling, scavengers are now picking up the detritus scattered along the road of Route 66. Slingshot Global Media has picked up the 1960s series for a redo, believing it can update Route 66 and its story of a two young, freewheeling men traversing the titular highway in a Corvette, looking for the American dream—this despite Route 66, the Corvette, and the American dream all becoming dusty, disused relics. 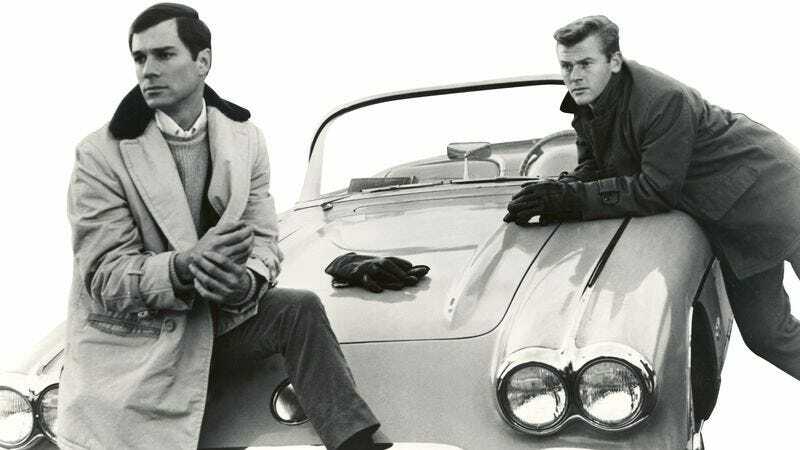 “In our remake of Route 66, we hope to recapture the classic American storytelling that characterized the original series, but infuse it with more high octane action and contemporary social and political conflicts,” said executive producer Kirk Hallam. So, imagine an episode that deals with a gay couple lobbying for the right to be legally married, or one in which a cop murders an unarmed black man. Then imagine those people being jumped over by two dudes in a sports car. The new Route 66 is actually the second attempt to resurrect it, following a “sequel” series that ran on NBC for four episodes in 1993, starring Dan Cortese. It’s hoped that one of our most pressing social issues of the day will be solved in this new remake, when the characters happen upon Cortese’s roadside fruit stand.